I've said in the past that one of the things I dislike about Android is that a lot of simple things really aren't as straight forward as they should be. Whilst I love the overall system I hate how tricky it makes things that really shouldn't be difficult and one of the most complex things is using the Facebook app to "save pictures" of your friends. You'd have thought just holding the picture would give you the option but sadly not, instead you need to use another app such as "Box". use. 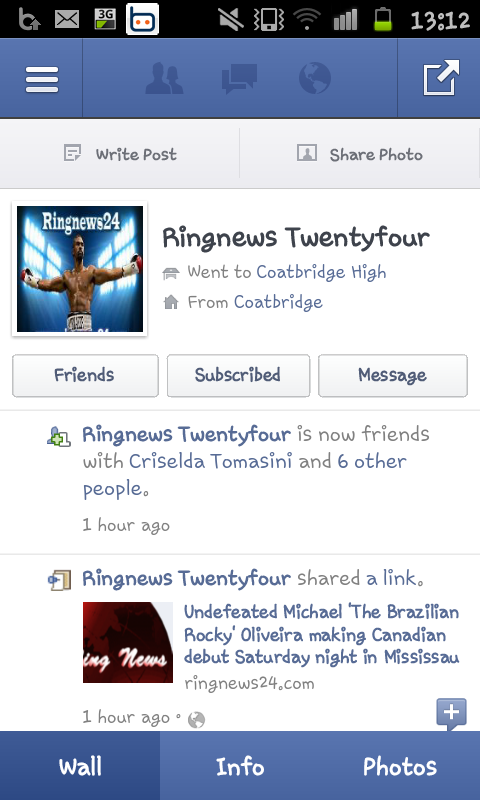 For our example we are using the Ringnews24 image of David Haye that the site uses for it's Facebook picture. 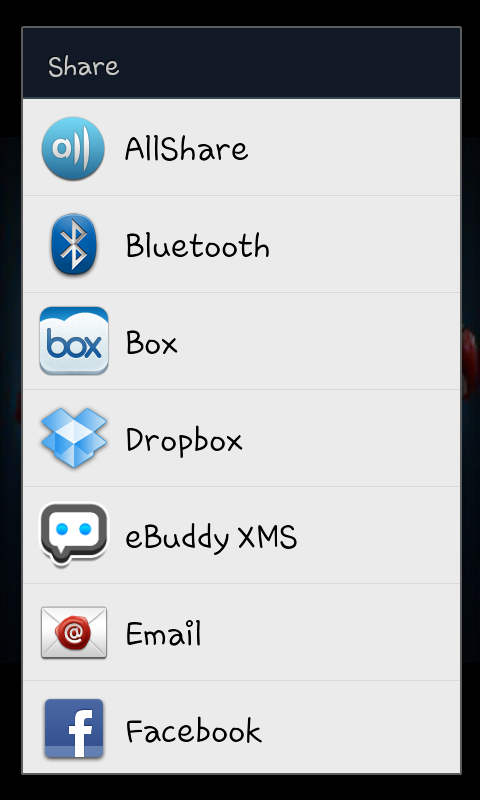 see a list of all the sharing apps on your phone, from the list you will need to select "Box" (obviously to use the "Box" app you will need to already have installed on your phone before getting to this stage). After clicking on "Box" from the list of share apps you will be taken to the Box app "Upload screen" (which should look like the image on the right). 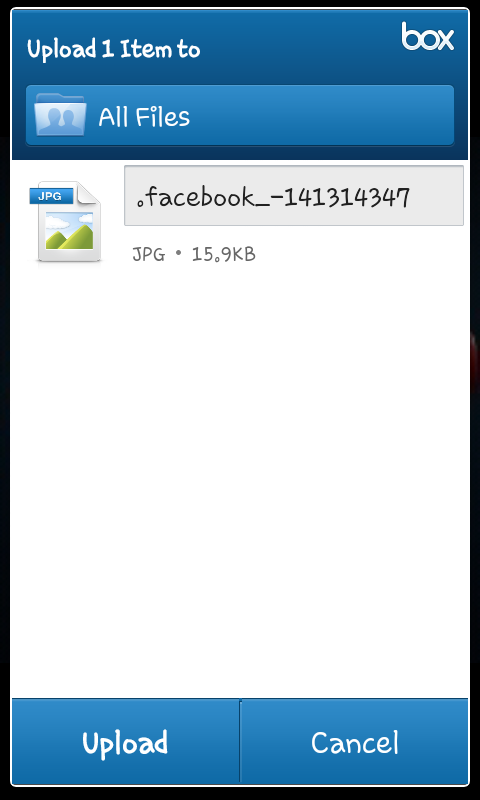 The file name by default will contain "facebook", though you can feel free to rename the file in the usual way when using the "Box" app and when you are happy with the name you have to click "Upload". After uploading the file to "Box" you will then need to download the file (which we wrote a guide on yesterday) to your phone before you can see it in your gallery. Trust me I know this is an incredibly long winded way to save the pictures from facebook onto your phone, sadly however their doesn't seem to be a more logical one unless you log in to your facebook account via your browser and save the picture the way we explained in this guide.